Citizens of some particular countries shall make sure that the U.S. visa will be placed into their passport. Meanwhile, USA visa regulations allow citizens of some countries to enter the United States without a visa. A visa does not guarantee that the traveler may enter the United States in case if that visa is not indicating the confirmation of the consular officer that the one is eligible for entrance to the country for specific purposes (business, study, etc.). Two types of visas are available for those that enter the United States Non-Immigrant and Immigrant Visa. Immigrant Visa is applicable for the permanent stay in the United States. Non-Immigrant Visa is applicable for the temporary stay in the United States. B1 and B2 visa is applicable for temporary traveling to the United States. The B1 visa allows traveling for the business purpose and B2 for the medical, social, and recreational purposes relatively. The B1 and B2 visas are combined and issued as one. Visa Waiver Program allows the citizens of the following countries to enter USA for maximum 90 days for business and tourism purposes without visa: Andorra, Austria, Australia, Brunei, Belgium, Czech Republic, Chile, Denmark, Estonia, France, Finland, Greece, Germany, Hungary, Ireland, Iceland, Italy, Japan, Liechtenstein, Latvia, Luxembourg, Lithuania, Monaco, Malta, New Zealand, Netherlands, Norway, Portugal, Singapore, San Marino, Slovakia, Slovenia, South Korea, Sweden, Spain, Switzerland, Taiwan, United Kingdom. To accumulate the membership of a Visa Waiver Program, the one shall apply for Electronic System for Authorization (ESTA) approval 72 hours before the travel. The document is valid for two years and will allow traveling to the United States, however, will not guarantee the entrance to the country. Moreover, those coming from and having the citizenship of Canada, Mexico, Cayman, Bermuda, The Turks and Caicos Islands do not require a visa when entering the USA as well. Citizens of the Marshall Islands, Palau, and the Federated States of Micronesia have the right to enter the United States for business and study purposes without a visa in case if they provide a valid passport. Notably, on September 24th, 2017 a presidential proclamation was signed by Donald Trump and went into effect on December 4th, 2017. That suspended the issuance of visas to nations of particular countries: Iran, Libya, North Korea, Somalia, Syria, Venezuela, and Yemen. 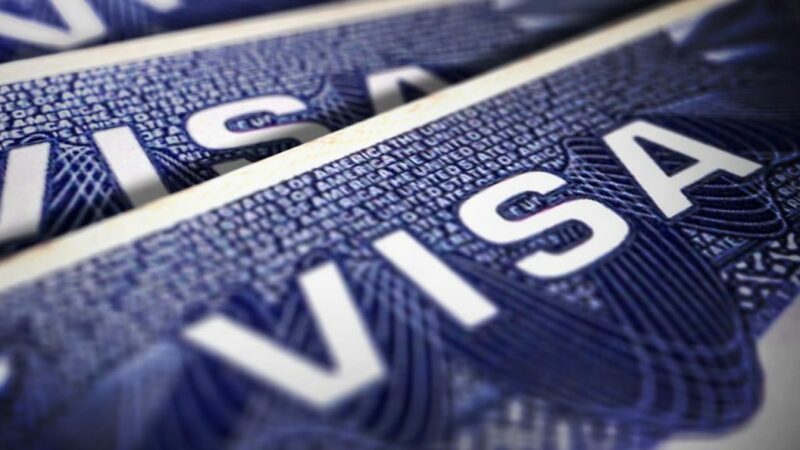 The nations of the following countries: Cambodia, Eritrea, Guinea, and Sierra Leone were restricted to accumulate visa due to lack of the cooperation between countries on September 13th, 2017.